It is a fear that all physicians have at one time or another…how do I protect myself in the event of litigation? In this month’s edition of Money Minutes for Doctors, Katherine Vessenes, JD, CFP®, RFC, Founder and President of MD Financial Advisors, talks to us about the realities of legal actions against doctors as well as strategies of keeping oneself protected as much as practicable. Enjoy!! Ms. Vessenes works with over 300 physicians and dentists from Hawaii to Cape Cod. Her firm uses a team of experts to provide comprehensive financial planning to help doctors build their wealth and protect their wealth while reducing taxes now and in the future. 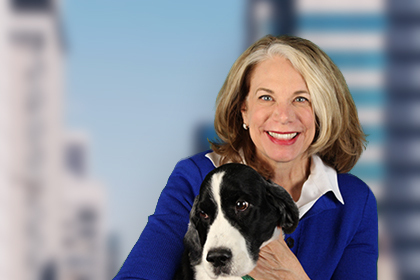 Katherine is a longtime advocate for ethics in the financial services industry; and has written three books on the subject of investment strategies. She has received many honors and awards including: numerous tributes from Medical Economics as a top advisor for doctors, multiple 5-Star Advisor Awards, honored as a Top Woman in Finance, in addition to being selected to be on the CFP® Board of Ethics. Katherine can be reached at: Katherine@mdfinancialadvisors.com or 952-388-6317. Her website: www.mdfinancialadvisors.com. Generally not recommended to have additional malpractice beyond which your group covers, but may be of benefit in high risk specialties or if you own your practice. Depending on the state in which you live, home ownership equity can be a source of protected asset in a law suit but be sure the asset is well insured! Accountants and attorneys are the most helpful to protect these assets and place them in LLC/trust etc. Wills/trusts can be a great way to protect assets for future generations but needs to be done properly, consult an attorney! Asset protection is best accomplished now, when you are sued it is too late!